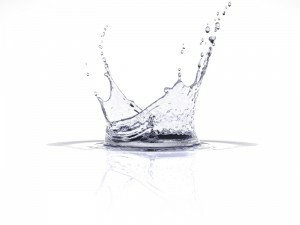 Independent water testing services to cover water systems throughout the Built Environment. We test Water Storage Tanks, Calorifiers, Cooling Towers and any Drinking or Domestic Water Systems in Residential, Private, Commercial, Health Care and Public Sector Premises. For independent Water Testing Services, you have come to the right place! Visit our information bank for Industry Specific Water Testing and Legionella Management Services. We offer a wide variety of water testing packages to cover most microbiological and chemical water testing and analysis needs. As there are many different combinations, Aqua Legion UK have designed set packages to make the task of ensuring your drinking water is safe a simple one. Because the variations of analysis are so extensive, Aqua Legion provide set Drinking Water Testing Packages that include but is not limited to, Total Viable Counts of Bacteria, (TVC), E.coli and Coliform Bacteria (TVCC), and Legionella Bacteria. In addition to Drinking Water Bacteria Analysis we also provide detailed Chemical Analysis including heavy metals such as Copper, Zinc, Aluminium, Lead, Cadmium, Potassium and Iron etc. We are also able to sample for Enterococci and Enteroccocus bacteria, Pseudomonas bacteria and much more. Whether you are testing a Drinking Water supply or Cooling Tower, Aqua Legion can help. Independent Consultancy, Competent Persons Support, Responsible Persons Support, Water Testing Regimes, Water Testing and Management Records, Water quality control schemes. Routine monitoring, Inspection and testing services to cover legionella management in line with the HSE ACOP and HSG274 Parts 1, 2 and 3. For 10 years now Aqua Legion UK has provided independent water testing services to cover a range of clients needs throughout London and the Greater London Areas. 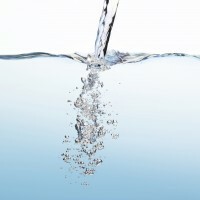 Dedicated to relationship formation, professionalism, scientific expertise and mindful provision of service, Aqua Legion UK has directed many clients to a sustainable water management programme that is robust, pragmatic and able to demonstrate compliance to relevant legislation so far as is reasonably practical. Simply complete the relevant get a quote form by clicking here. Upon review of your request, if we are able to offer a service we will provide an email proposal normally within 24 to 48 hours dependent on volume of enquiries. If you would like to proceed, simply reply by email and we will then give you a call to arrange a suitable date for the visit. Following confirmation of the visit date, either a specialist Consultant, Engineer or Technician will visit your site to take the samples as agreed and conduct a basic inspection of the services being sampled. To be of value, it is important the water testing and sampling follows British Standards and UKAS requirements. As such your site will need to be visited by one of our trained personnel. Samples need to be collected using aseptic techniques and transported to the laboratory within 6 hours if for drinking water analysis. By sending a Consultant, Engineer or Technician to take the samples ourselves, we can ensure the integrity of the sample is maintained so it is most representative of the system it is collected from. This makes the testing process and subsequent results dependable. Consequently we do not offer a testing or analysis service to cover water samples that have already been collected. Water testing and water sampling that goes the extra mile. 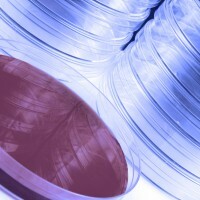 The sampling technician who visits your site will normally also conduct a brief inspection of the systems to note any potential issues, likewise information on the requirement for sampling will always be discussed with the client to obtain background knowledge to aid the correct interpretation of the results. 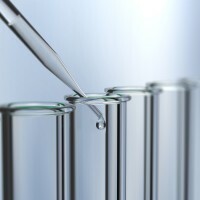 Once the sample is transported to the most capable laboratory facility, the details of the water testing requirements are relayed to the laboratory in order to proceed with the analysis. On completion of analysis, you will be issued with a formally written report detailing the findings and observations of the water testing visit and inspection along with any recommendations for improvement or remedial actions based on the results obtained. All results are fully interpreted with direct knowledge of the site and location from which they have been collected providing a dependable service. As we consider ourselves to be a mindful company, our aim is to be the most thorough, detailed and accurate and not necessarily just the fastest. As such you can expect our Consultants to spend time drafting your report to ensure it is usable and effectively covers the detail needed to offer a resolution to any issues.